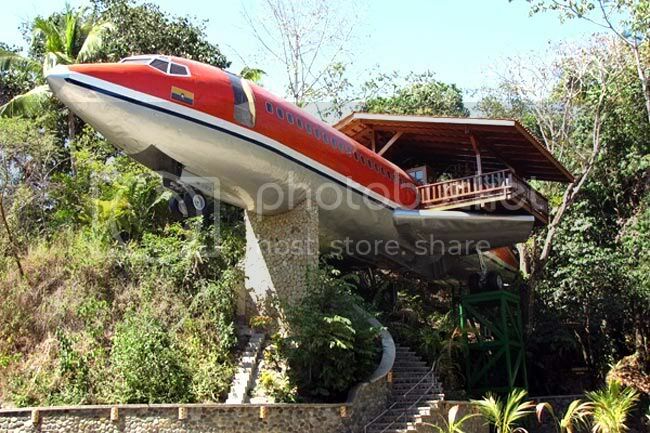 Located at the Manuel Antonio National Park, the Costa Verde Resort features an incredible hotel suite set inside a 1965 Boeing 727 airplane. Formerly, it served passengers of both South Africa Air and Avianca Airlines. 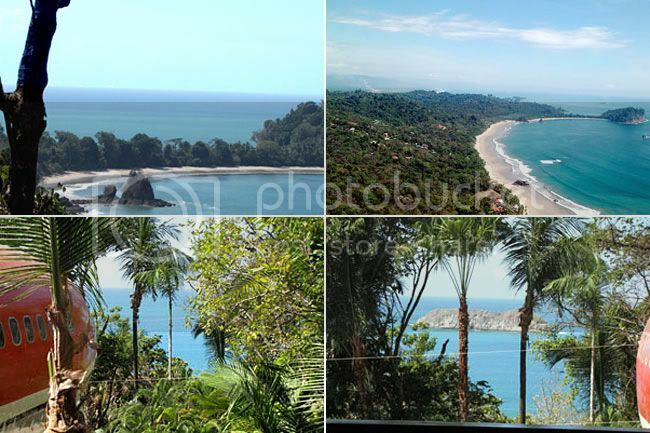 Now it serves as a two bedroom suite perched on the edge of the rainforest overlooking the beach and ocean. 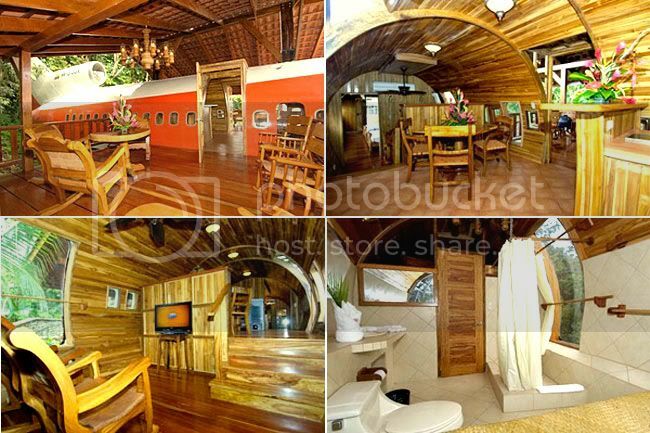 Click "Read More" to view the rest of this not-so-plain plane hotel. *The airplane was transported piece by piece from the San Jose airport to its current resting place on a pedestal 50 feet above the beach. 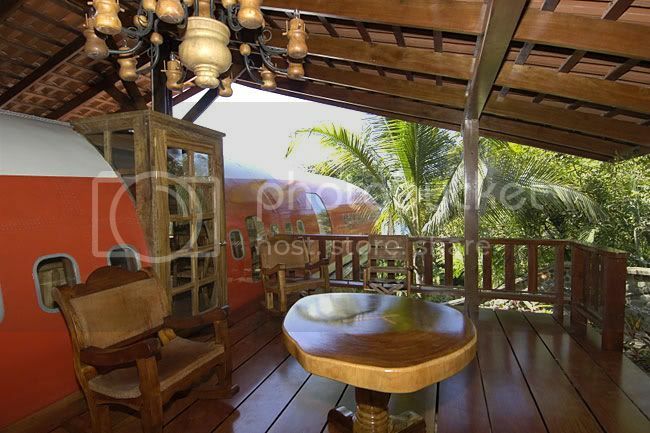 It looks a bit like a model airplane on a stand, and we can only imagine the spectacular views from the balcony and the airplane windows. Five big trucks were needed to get the plane out to the resort, and while the transportation certainly had a negative ecological impact, the finished project is a stunning example of adaptive reuse. *The two-bedroom, two-bathroom suite also includes a kitchenette, flat-screen tvs, a dining room, and a terrace with an ocean view. 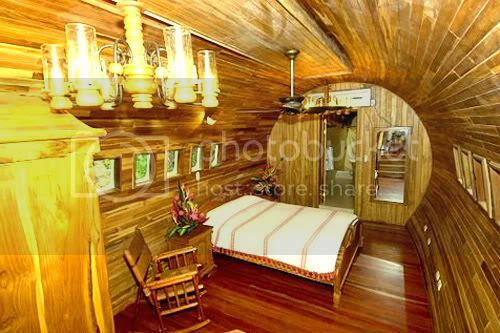 We can’t really agree with their choice of furnishings, which are made from teak and shipped across the Pacific from Indonesia, but at least they were hand carved. 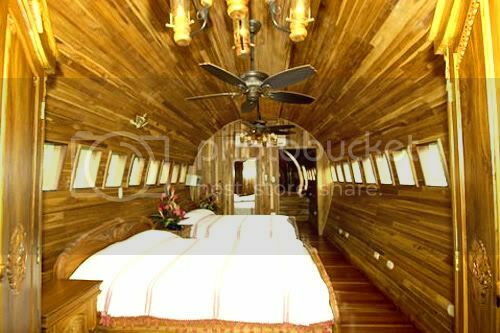 The tip-to-tail paneling on the inside is also teak, but it was harvested locally in Costa Rica.